Volvo S60 Running Costs, MPG, Economy, Reliability, Safety | What Car? 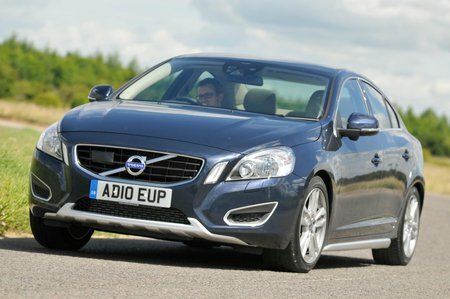 The Volvo S60’s list prices undercut those of the equivalent Audi, BMW and Mercedes models, plus you’ll be able to negotiate a generous discount on most versions at the showroom. Resale values aren’t as strong as those rivals’, however. Fuel economy and CO2 emissions for the diesel models are excellent, which make them great choices for company car drivers or private owners who cover lots of miles. Volvo’s reliability record is generally good, if not up with the best, so major problems should be few and far between. Every version has plenty of standard equipment, including climate and cruise controls, automatic wipers, a DAB radio and Bluetooth connectivity. The S60 also comes with the generous safety kit list that you’d expect from Volvo. Six airbags and stability control are standard, as is Volvo’s City Safety system, which detects objects in front of you and can automatically stop the car to prevent low-speed impacts. The optional Driver Support Pack includes a system that can recognise a pedestrian or cyclist in the road ahead and warn you of their presence, along with adaptive cruise control, and lane-departure and blindspot warning systems. Security kit includes an alarm and engine immobiliser, while security experts Thatcham awarded the S60 five out of five for its resistance to being stolen, and four out of five for its resistance to being broken into.